How will Felix and Fingers get people dancing at my wedding? 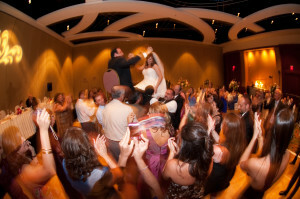 A question I get a lot is, “How will you get people dancing at my wedding?” Some people imagine dueling pianos as a fun, sing-along show where people sit around and drink. That CAN be a dueling pianos show, but that isn’t the kind of show we bring to your wedding. At a bar, our main goal is to take requests. We love it when we get obscure requests that we know. It’s awesome when someone drops a 20 dollar bill and asks me to play “Hakuna Matata” or “Spongebob Squarepants.” It’s what makes Dueling Pianos great! Every show is different! However, at a wedding, we aren’t working for tips. We’re working for you! 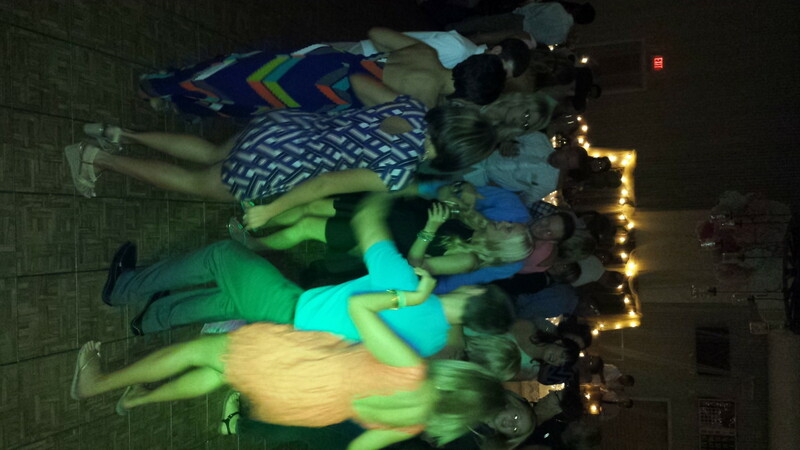 We know you want your friends, cousins, and grandparents cutting a rug on that dance floor. We’re still going to play requests, but we’re going to put an emphasis on those songs that we know will get the crowd on their feet dancing! We’ll usually do a mixture of top forty dance tunes as well as classic favorites like “Shout” and “Old Time Rock and Roll.” Sometimes I have a little trick I like to use. Don’t tell anyone about it. It’s a secret dancing technique. I’ll play “Can’t Help Falling in Love with You,” by Elvis. All the “older folks” will join the rest of the dancers on the dance floor, since most people love this song, and at this point, everyone is ready for a slow song. Then right before the song ends, I’ll switch over to “Jailhouse Rock.” Everyone always stays on the dance floor. Even grandma and grandpa! They already admitted that they love Elvis, so I know they’ll love his rock and roll as well. It never fails! Will they really be dancing at my wedding? Prove it! I could go on! These were just taken from the first several reviews I went through! I promise we’ll get everyone dancing, and they’ll be complaining about how much fun they had then next day. Not Bad, what else you got Felix and Fingers? And finally, if you are little self conscious about your own dancing abilities, fear no more. Click here and you’ll be dancing like Kevin Bacon in Footloose. Don’t hesitate… Get in touch with us today!